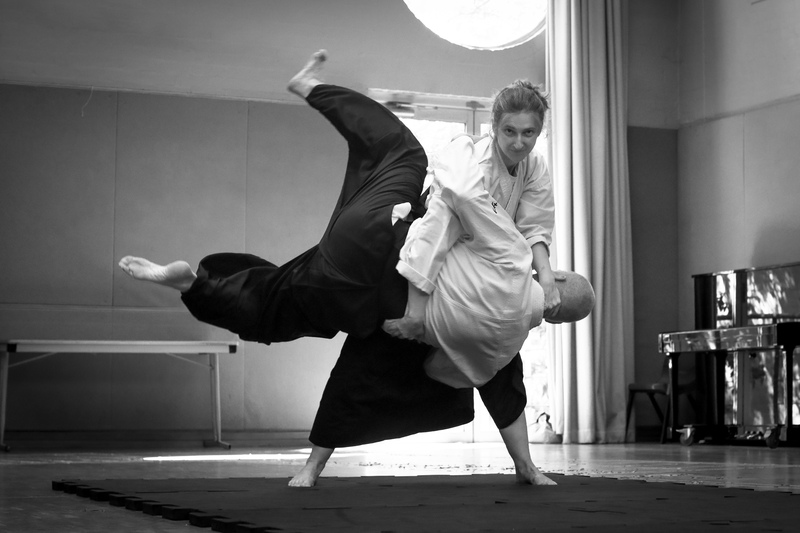 Aikido practice is based on paired practice of techniques, which are the Kata of the art. Uke and Nage have defined roles. This differs somewhat from our perception of Kata gathered from arts like Karate, Taekwondo etc where Kata is usually a series of movements done solo. Our Kata are instead a Koryu concept (ancient martial traditions of Japan) which were often practiced in pairs. The role of Uke was the teacher, who would challenge the student (Nage) with just the right amount of intensity and speed and variation of attack to further their development. Using Bunkai and exploring the Kata through the context of a continuing series of attacks by uke and various permutations of openhand and weapons we bring the kata to life.